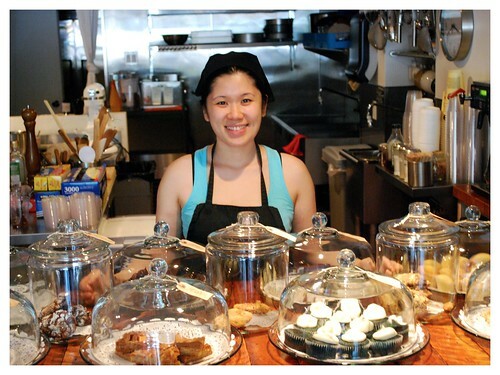 Daniellan Louie started her bakery business when she was still a teen. She first opened a location in Bay Ridge, and later opened in Manhattan. Daniellan has smartly pivoted her business into commercial kitchen space in Long Island City and baking/cooking solely for custom orders, corporate catering, private parties and events. Similar to Delaney Barbeque before Dan opened a retail space, Daniellan is launching 'Shared Orders’. On baking days she will post a rotating menu - you may claim your share without being committed to ordering an entire batch. Which will then be delivered same day to your home/office. You will get your order before the end of the day. Think of it as a mobile bakery traveling wherever needed to feed your cravings. Ivy Bakery's last day at its retail location on West Houston Street will be Sunday, March 9th. Other than that, nothing else will be changing, the website is up and running and a shopping cart feature will be added to make online ordering easy. Ivy Bakery's phone number and email are the same. The Facebook, Twitter, Instagram, will all be there when you wake up on Monday, the 10th. The transition will be painless for you. If you are in New York, bookmark Ivy Bakery and consider Ivy for any food or dessert catering, small or large. Cupcakes Take The Cake have had cupcake meetups there and I have personally referred Ivy Bakery for custom birthday cakes and events.